Once again,voters in Greece chose to descend into the rabbit hole. They continue to believe the fantasy that the country can continue to live beyond the present means of the Greek economy. By returning to office the anti-austerity candidate, the Greek people let it be known that emotion and impressions triumph common sense. They will not accept that is was their earlier embrace of ideological illusion that has now lead the nation to ruin. A second opportunity for citizens arose when the leftist Prime Minister Alex Tsipras was forced to resign in August. 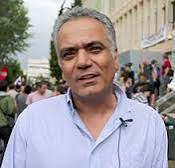 This occurred because members of his own Syriza party, abandoned their leader when he faced a crucial vote in the Greek Parliament. The issue at hand was whether Greece would be forced to accept certain fiscal conditions, in order to qualify for the third massive European bailout of the Greek economy in five years. The election held in September returned the former Prime Minister to office, after being out of power for a month. While he was in the political opposition in 2014, he constantly railed against the socialist and center right governments and their policies. These leaders had the responsibility of governance and could not deal in the theoretical. They were attempting to bring the country out of recession caused by flagrant spending and the massive accumulation of debt over previous decades. 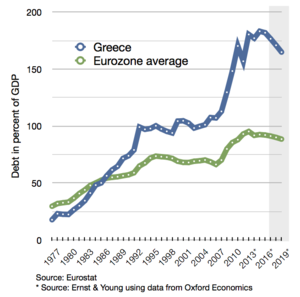 Alex Tsipras could well afford to promote the idea that a largely state controlled economy would create jobs and bring back the generous pensions of the past. He was so effective in this performance that it propelled him into office in January of 2015, just as the economy of Greece was returning to growth and primary fiscal balance. Meaning that minus debt interest payments, government expenditure was being met by tax receipts. The duly elected Tsipras continued the charade once taking office. 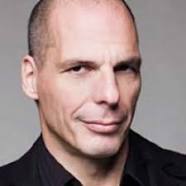 He and his Finance Minister Yanis Varoufakis then took their ideas with them to the officials and bankers of Europe and the world. Not surprisingly, they found a far less receptive audience. The premise that Greece should be permitted to spend prolifically and would shoulder no responsibility for the consequences of those actions, was an anathema to counterparts in other parts of the European Union (EU). It was not surprising that this new Greek parody would receive such a poor showing outside the country. One, the Greeks were refusing to play by the rules everyone else had to adhere to. Two, they were expecting other countries to financially support, the Greek domestic largesse. That was the deal breaker. No matter how much Varoufakis attempted to cajole and bully his opposites around the continent, he simply alienated the very people who would need to approve for the flow of money to continue. In the end, it would be the Finance Minister from Germany who pulled the plug on the production that was emanating from Athens. The Greek government was finally given an ultimatum. Either abide by the rules set up by the EU, or the loans and financial assistance to the Greek banks would cease. Refusing to accept that reality Alex Tsipras unilaterally broke off negotiations in late June and announced that there would be a national referendum on the new bailout agreement, scheduled for July 05th. As expected, Greek voters soundly rejected the new European conditions, that were being reinforced by the IMF (International Monetary Fund). Believing that the referendum strengthened his hand internationally Alex Tsipras refused to bend. He falsely made the assumption that EU officials would not actually permit the long feared Grexit. That would be a Greek withdrawal from the common currency zone of the Euro. What the Prime Minister failed to recognize was that the voters in other countries had also made their intentions clear. It would be Germany that would put an end to this part of the drama. 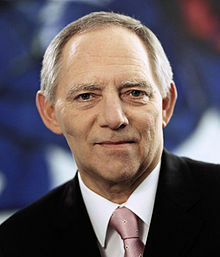 The German Chancellor openly discussed the possibility of a temporary Greek withdrawal from the Eurozone. Perhaps she had surmised that the Greek people needed to understand, what the intransigence of their government would actually result in. As a Greek sovereign default loomed the consequences of that eventuality began to surface. Capital controls were soon enforced to stave off a collapse of the banking sector. Soon the payment of public salaries and pensions were impossible in Euros as Greek banks began to run out of money. Citizens were treated to the spectacle of not being able to access their own money. True pensions and paychecks were not cut, but recipients would not have access to the payments being made. Worse yet, since Greece had defaulted on a payment due to the IMF there would be no more financial assistance from this international body. Greece would now have the distinction of being the first developed country to ever renege on a payment to the IMF. It was also a signal to investors everywhere that the country was no longer credit worthy. Soon the markets were tanking and the economy began to enter a free fall as well. As it became clearer to Tsipras that he had overplayed his hand, he began to make a course correction in policy. Finance Minister Varoufakis resigned and the Greek government began to negotiate again, to prevent what was now being called an involuntary Grexit. Soon a new debt deal was arranged and the country would now receive a total package of 86 billion Euros, the equivalent of $95 billion USD (United States Dollar). Unfortunately for Tsipras, his previous rhetoric and that of his allies in the government made approval of the new debt agreement in the Greek Parliament problematic. The Prime Minister soon suffered the embarrassment of having members of his own party abandon him in the legislature. He was forced to rely on political opponents, to pass the unpalatable financial understanding. When it was over, his resignation was practically a fait accompli. In the month that followed, Greek voters could of considered whether the country was better off since the election of Syriza, at the beginning of the year. It was plainly clear that the deal finally agreed to, was far more stringent than what had been in place during the previous government’s tenure. Once again, Greek voters cast logic aside. They instead chose to believe that Alex Tsipras the man ultimately responsible for the fiasco, was the answer to solving the newly created crisis. One is left with two plausible scenarios. Either Mr. Tsipras never believed the former principles he was espousing or he had totally changed his viewpoint on how to manage Greek finances and attempt to grow the faltering economy. It leaves individuals with the impression that the change in position, is more politically motivated than anything else. 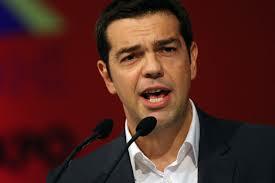 That is, the survival of Mr. Tsipras in office is more important than ideology. If Tsipras wanted to remain the Prime Minister, he had to understand that the Greek voters wanted two primary things. 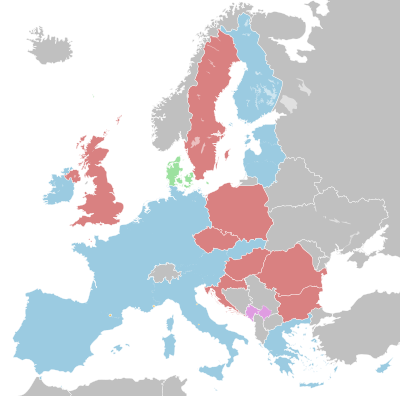 One was not to abide by further austerity implemented by the European Union and that the country needed to stay in the common currency zone. That these two objectives were in total opposition seemed to escape the electorate. What had also become quite clear was that the EU was not going to tolerate any member nation, openly flouting the agreed upon financial rules without serious consequences. The German government had seen to that. Any nation requesting financial assistance within the Eurozone, would have to agree to the conditions set down by the bureaucracy in Brussels. In addition, it made evident which many had already surmised, any loan agreement that involved sovereign debt, needed the approval of Germany. So the Greek voters have chosen to believe that after two decades of left wing ideology, their newly elected Prime Minister now adopts a position totally contrary to an earlier viewpoint. Not that politicians cannot change their mind on a number of issues, but a total change in orientation is hard to assimilate, when it occurs over a matter of weeks. The difficult part in convincing the Greek public on the sincerity of the conversion, will now need to take form. It will be done through an overhaul of Greek finances and economic management. The new government must immediately raise taxes, reduce pension benefits and intensify the privatization of state-owned companies. These are all measures that Tsipras vehemently opposed, during his first stint as Prime Minister. In order to maintain a working majority in the legislature Tsipras did not seek an alliance with the moderate pro-European left, but rather back to the coalition from his first term. This would be the Independent Greeks, a far right nationalist party. His new cabinet will also continue to house some of the biggest critics of austerity, the new debt deal and capitalism in general. The retention for example of Panos Skourletis as minister of energy and environment, clearly indicates there will be no change in government policy towards the private sector. The minister has already disapproved of a foreign mining investment, that would have been the largest that Greece has received in twenty years. The Prime Minister has instead discovered a new enemy of Greek prosperity. It is tax evaders and corruption in general. That is the target of his new rhetoric, rather than Germany and the IMF. If he is serious about this crackdown, he will find rather stiff resistance coming from the old political elite of the country. So far there have been no indictments of any corrupt Greek businessmen, but to be fair it is still early in his second term. The real crunch will come in 2016, when the effects of the new austerity begin to bite. It is then the Greek people will see that despite all the government propaganda, there is no real escape from paying for the financial excesses of the past. The debt to GDP (Gross Domestic Product) ratio remains at a whopping 177%. It will be much harder to pay with the economic recovery now derailed and the altogether lack of investor confidence in Greece.